The International Film Education Symposium runs between 25th to 26th March at University of Bradford. Join keynote speaker, the BFI’s Head of Education, Mark Reid, Yongsun Lee – Korean Film Council (KOFIC), guests from across the UNESCO Creative Cities Network and the UK to learn more about the power of film in education. 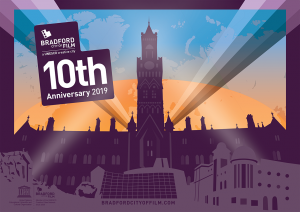 Sessions include interactive workshops, panel discussions, and a host of opportunities to discover more about Bradford’s Film Literacy programme, Film Education in a Community setting and Media Information Literacy.